Navigate, track, and explore with Gaia GPS. Millions of people worldwide have used Gaia GPS to hike, hunt, camp, ski, and explore the backroads. Gaia GPS has been featured in countless publications, including Outside, Backpacker, Trail Runner, the New York Times, and numerous App Store features. Gaia GPS started as a backpacking app. 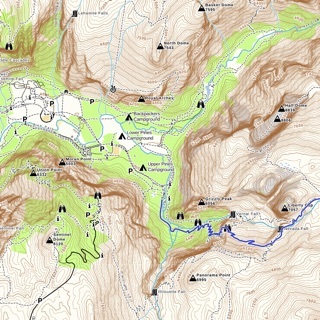 Download topo and satellite maps for offline use. Use intelligent routing tools to plan trips, and measure distance, altitude, and elevation change. View your route using comprehensive backpacking maps, including up-to-date weather forecasts. Both a hiking navigation app and a platform for finding hikes, Gaia GPS helps you discover your next adventure. Use the Discover tab to find hikes and nearby trails, and download maps and hike info to your phone for offline use. Driven by hunters on the team, Gaia GPS has become a top hunting app. Build custom hunting maps that include public land designations, private land ownership, and state-by-state hunting units. Gaia GPS helps you find a campsite on the road, or deep in the backcountry. As a camping app, Gaia GPS delivers public land data to help you stay legal, maps with campsites, parks, and forests, as well as weather overlays. Mark waypoints to create custom camping maps, plus reference road maps and Motor Vehicle Use Maps (MVUM) to plot overland, 4x4, and off-roading routes. Apply slope-angle shading and 24-, 48-,and 72-hour Snowfall and Precipitation Forecast overlays to create custom backcountry skiing maps, plan tours, and avoid avalanche terrain. As a backcountry skiing app, Gaia GPS helps you find powder and stay safe on the slopes. Go farther, faster by mounting Gaia GPS to your handlebars for hands-free navigation. Access mountain biking trail maps on both public and private land. Gaia GPS is a great mtb app for deep exploration. Gaia GPS is the preferred nav app for outdoor professionals. Quickly route to GPS coordinates, plot fire perimeters, view recent wildfires, and share maps, tracks, and waypoints with your team. Guides can mark routes, campsites, and water sources, and share hard-to-find approaches and descents with clients and fellow guides. • Subscriptions automatically renew unless auto-renew is turned off at least 24 hours before the end of the current period. Your iTunes account will be charged for renewal within 24 hours of the end of the current period, and identify the cost of the renewal. • Your iTunes Account will be charged at confirmation of purchase. If you love Gaia GPS, help spread the word by leaving a review. Your review will also get bumped up, when you rate a new update. Let me start by saying I use a Premium Subscription and absolutely love this app and use it nearly daily for both work and recreation. I does so much that it has become a must for use with my fieldwork. My only complaints are the randomized coloring when importing tracks and the was area shapes are created. Using this app professionally, I often need all of my shapes to be specific colors or all one color. Often I can just quickly adjust them in the app, but when I have projects with hundreds of shapes this is no longer a viable option and is very frustrating. Simply allowing bulk adjustment would solve this problem for me. The second issue regarding creating areas is that often when I try to move the dots that adjust the area, it grabs the screen and tries to move it instead... sensitivity issue maybe? In any case, these issues are not deal breakers... I love this app and will continue to use it, but hope that these two simple things will be addressed in the future. I know I’m not the only one that would like to see this! Thanks for a great app!!! Great tool for mapping motorcycle trips that use lots of off-road. I’ve been using GAIA to map my rides for a couple of years now. I use it to note where I’ve been, and to mark places I’d like to go, rather than mapping out routes beforehand. 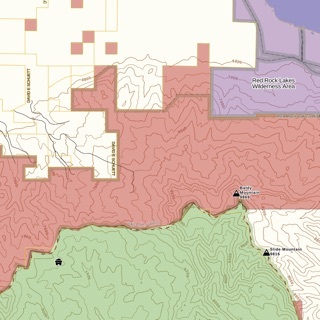 I like the detail available in the layers of maps available, (just purchased membership so as to be able to download and utilize Canada backroads layer) the ability to run the app while phone is in airplane mode, and the relatively low power use in that mode. I’ve ridden across the country west to east and back again, and from south to north, and largely off-road. And have records of each day’s ride. I use it to map mountain bike rides and bicycle commutes, and keep multiple parent-folders current with each ride. I also like being able to share a link to my rides with family and friends. I know there are features I don’t use, but feel confident that their use would be pretty intuitive given the ease of use I experience with the features I do use. Downloaded the app and tested it for off-road motorcycle. The automatic tracing of a route over existing marked trails is an awesome feature that makes planning the route considerably easier than with Google Earth or Garmin Basecamp. I downloaded satellite image and usgs topo maps of the area I was riding in so I didn't need to rely on having network or not during the ride. Battery usage was reasonable and it can certainly last for 12 hours or more with every app turned off and airplane mode. The website is fairly good too. Only small complain is that the web app folder system is a little convoluted - it's not obvious at first where things go at first. The mobile app occasionally crashes while managing files, yet nothing was lost. Compare to a Garmin gps unit the only limitation is the device's gps accuracy and recording rate but it's no issue for off-road riding/driving, likely not an issue for hiking neither. Topo maps, hiking trails, outdoor GPS tools. Hunting maps, offroad, private & public land.